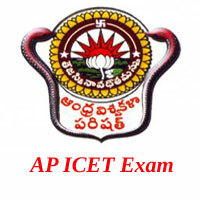 Andhra Pradesh Integrated Common Entrance Test is commonly known as Andhra Pradesh ICET. Andhra University on behalf of the APSCHE conducts the AP ICET Exam 2019 every year for the aspirants seeking admission into M.C.A and M.B.A. courses. The Candidates searching for the APICET Notification, Exam Dates, Counselling Process, Results, Syllabus, Previous Papers, Exam Pattern, Seat Allotment List and much more can check here. Read the below article for more details regarding the ICET AP. Latest News – AP ICET Notification has been Released. Candidates can Apply from 27/02 to 27/03/2019. Andhra Pradesh ICET Exam will be Held on 26th April 2019. The Sri Venkateswara University, Tirupati on behalf of the Andhra Pradesh State Council of Higher Education (APSCHE) conducts the AP ICET Exam 2019. The Applicants who want to complete Post Graduate Regular Courses i.e. MBA and MCA have to Apply for Andhra Pradesh ICET Examination 2019. The Candidates get admission into the Universities and affiliated Colleges in AP State if qualifies for the APICET Exam. This year the APSCHE and SVU released the Notification. A Large Number of Candidates appears for the ICET Exam in Andhra Pradesh State. The Notification now available for the aspirants eagerly waiting for the AP ICET Examination. You can check all the stuff here to prepare for the Andhra Pradesh Integrated Common Entrance Test. AP ICET 2019 Notification, Andhra Pradesh ICET Online Application, Exam Pattern & Syllabus, AP ICET Previous Papers, AP Integrated Common Entrance Test Answer Key, AP ICET Exam Analysis, etc. are available in detail below. Here you can find all the stuff required to prepare for the entrance exam for the academic year 2019-20. The Andhra Pradesh State Council of Higher Education commonly known as APSCHE. It was established by the Andhra Pradesh Government in the year 1988. APSCHE formed with the eighteen universities after the division of Andhra Pradesh and the Telangana States. APSCHE Andhra Pradesh conducts various entrance tests namely EdCET, PGECET, EAMCET, ECET, ICET for the candidates residing in the State of Andhra Pradesh. For more details of the AP ICET 2019, aspirants can go through the link provided here. Name of the Exam Andhra Pradesh Integrated Common Entrance Test. Board Exam Andhra Pradesh State Council of Higher Education. Starting date to apply 27th Feb 2019. Last date to apply 27th March 2019. Closing Date to apply with late fee 4th April 2019. Admit Card Download date April 2019. AP ICET 2019 Exam date April 2019. Answer key 26th April 2019. The Eligibility Criteria for the Aspirants who are appearing for the AP ICET 2019 given below. Candidates of AP Integrated Common Entrance Test Exam 2019 must check the Eligibility Criteria before applying. Check the Educational Qualifications and other eligibility criteria for AP ICET Notification 2019. The Aspirants must be the citizen of India. MCA: Candidates must pass B.Tech/ 3 years Degree Examination of minimum 3 years duration in any discipline with Mathematics subject at 10+2 level. MBA: Aspirants should complete Bachelor’s Degree in not less than 3 years from any recognized University/ equivalent with minimum 50% marks. The Applicants appearing for the final year degree examination are also eligible to appear for the ICET Exam. Interested candidates can apply online for the Andhra Pradesh ICET Exam as early as possible in order to avoid the server issues. You can start your exam preparation to get a good rank in the ICET 2019. Below, we have shared all the important materials for the sake of your preparation. Refer the APICET 2019 Syllabus and latest ICET Exam Pattern. You can also download AP ICET Syllabus 2018 pdf from the enclosed link. Therefore the syllabus and exam structure will help the applicants to know the scheme of the examination. Before starting the preparation, you can refer the Andhra Pradesh ICET Previous Papers once. So that, you can get clear cut idea about the ICET Examination and its difficulty levels. The AP ICET Last 5 Years Question Papers free downloading link enclosed below. The AP ICET Result will be released by the Andhra University, Vishakapatnam on behalf of the Andhra Pradesh State Council of Higher Education. Therefore You can check the Andhra Pradesh ICET Results date and check your AP ICET Exam Result from the link of official website sche.ap.gov.in/icet. Therefore the candidates who want to start their education in the MBA/ MCA Courses must attend the ICET Counselling. Don’t get confused regarding the Andhra Pradesh ICET Counselling procedure. Here, we have provided every detail regarding the AP ICET Counselling process. You can also get all the information about ICET Counselling Dates, Required Documents for APICET 2019 Counselling and counselling centers.